Me, Andy Lee Graham explaining why I travel, after 101 countries, and 16 plus years of non-stop world travel, it is time to look back down the path. There was a question put on the table 15-16 years ago while talking in the Hotel Casa Argentina's in Xela, Guatemala. In a small hotels in Xela, Guatemala, 15-16 years ago a small girl, a friend from France, a wistful spirit, a traveler shared our common worry about becoming travelers. She was my friend for only a few days, but we were a kindred spirit, we called ourselves travelers, we had made the commitment. Travel writers, and travelers write as though it should be assumed there is a reason to travel. However, the real travelers understands it is a faith. We carry the belief that answers will be revealed. It is hope that allows us to travel the world. We dream of arriving at our destination, to understand what motivates us to travel, and we know the journey is a life worth living. We live our lives believing there is a meaning to life, and we travel as if there is a meaning to travel. 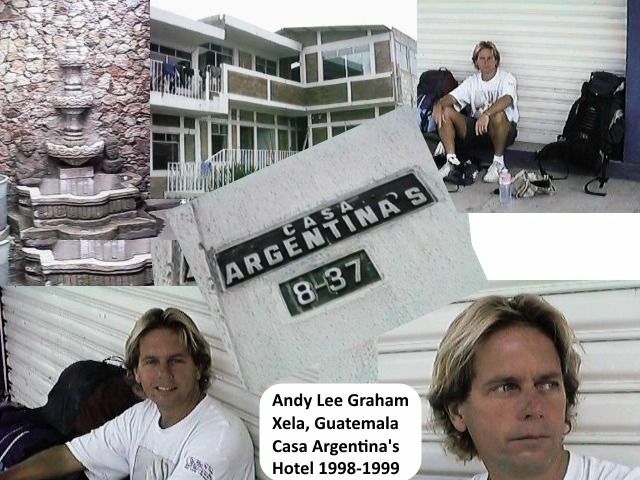 That was over 15 years ago, and my journey has been long, I am Andy Lee Graham, a traveler. Travel is journey made somewhere between insanity and genius, always teetering between the two we travel with faith, hope, and dreams. We take comfort in knowing that each day will be a new day, and there will always be a new future, a new collection of memories. Followed by the same answer, but maybe I have found the answer. Maybe after 16 plus years of non-stop world travel, the good Gods have granted me understanding? Maybe I know why I travel... yet, do I want to know? I have always said the same answer, I wrote it on my Blog, and said it, thought it with fear. I hoped to one day understand myself, but was afraid of the answer, what would I do if I found the answer? Would I stop traveling, and would my life would end, would travel no longer have meaning? The hope, and my dreams could vanish. I would join the rest of you; I would become part of the world, and not walk a path that is separate. I live a life worth living, and a life less normal, but it could end? To accept normal, to sit down as a normal person with no plans to leave; and not be able to walk away is my nightmare. Most people are afraid of the unknown, but for me; to know that tomorrow will be almost the same as yesterday is frightening. And so, I write, I talk, I am try to be brave, in the back of my mind, I did not want to discover the answer. Yet, today I am writing today with a purpose… I believe that by putting this down in words, I will tell you why I travel; the process of writing will allow the words to be revealed. I travel because it is the fountain of youth, each day is new day, each city is a new world, with each new country I am reborn, a continuous reinvention. I do not wait to die, I travel because I can live forever. The people I meet along the path are always new, my mind never hears the same story, and tomorrow for me is an unwritten story until it arrives. Travel is the refusal to grow old. I have found the fountain of youth. Yes my body may grow old, but my mind is forever young.